Gingivitis and gum disease are commonly diagnosed conditions among Americans. If you’re struggling with gum disease in Denver, then your dentist may recommend a treatment called laser gum therapy. Also referred to as periodontitis or periodontal disease, gum disease describes an inflammation of the gum tissues around your teeth. When you brush and floss as directed by your dentist, you can keep bacteria from accumulating in your mouth. Usually a result of poor oral hygiene, gum disease develops when plaque is allowed to build up along the gum line. The bacteria that make up plaque can infect and irritate the gums, causing them to swell, redden, and sometimes bleed when the individual flosses or brushes. In its early phase, gum disease is referred to as gingivitis. At this stage, gum disease can typically be easily reversed. When allowed to progress, however, special treatments may be required. The health of your gums is more important than you may think. First, gum disease can significantly impact the health of your teeth. Advanced gum disease can promote cavities, deteriorate jaw bone material, and cause your teeth to loosen or even fall out. 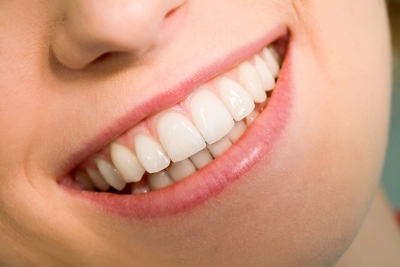 Additionally, the state of your gums can impact your overall health. Gum disease has been linked to problems like lung disease, diabetes, stroke, gastric ulcers, and osteoporosis. If your gums are affected by an advanced stage of gum disease or have failed to respond to other therapies, then your dentist may advise the use of laser gum treatment. The innovative technology behind this therapy allows gum disease to be treated in a way that is less painful and more effective than measures used in the past. Laser gum treatment involves the use of a tool that can preserve healthy gum tissue and stimulate the regrowth and healing of damaged areas. This therapy can help restore oral health for individuals who are dealing with gum disease.